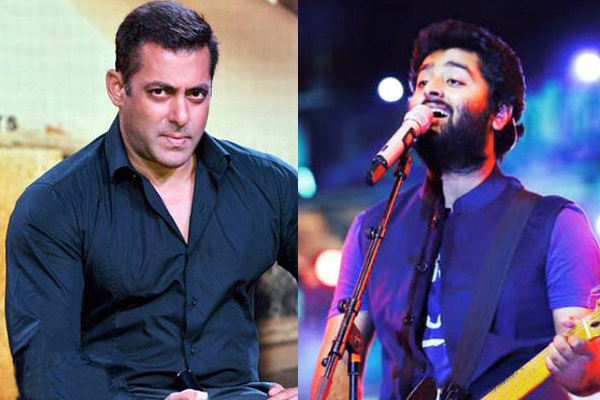 Renowned and ace singer Arijit Singh seems to be in bad books of superstar Salman Khan. No one knows the reason but looks like singer Arijit Singh is trying his best to apologise for his mistake. 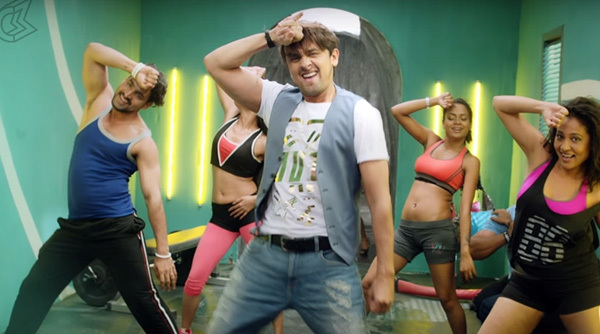 He had also posted a heartfelt apology to Salman Khan on Facebook, his post was like he was literally begging the actor to retain a song sung by him in the movie 'Sultan'. 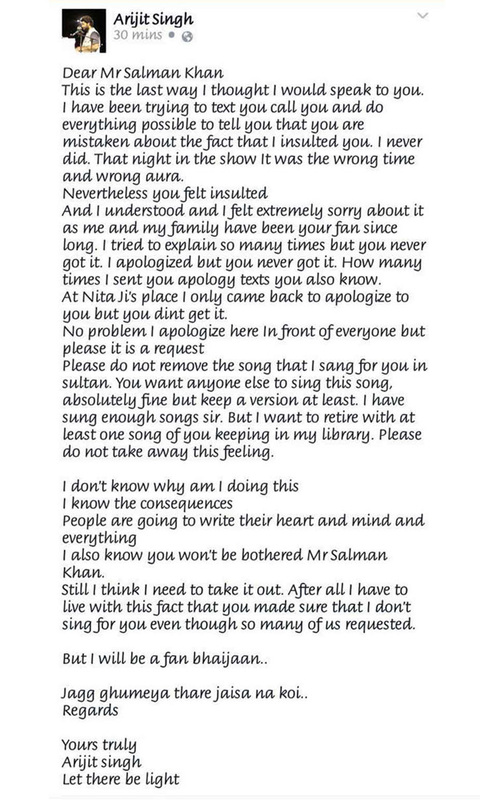 In the post below, you can read that Arijit unintentionally rubbed the Salman in the wrong way. The speculations are that some gesture by Arijit Singh offended Salman at a recent concert so much that he allegedly got another playback singer to record the song for his upcoming film 'Sultan'. The letter has not revealed much about the rift between them, but Arijit has clearly pleaded Salman to retain his version of the song. Arijit deleted the post within an hour but this is what that shows on his profile now.